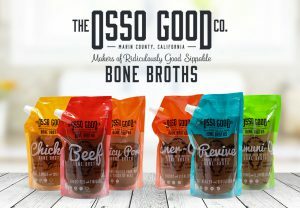 boost immunity Archives - The Osso Good Co.
What Are Prebiotics and Why Are They Just as Important as Probiotics? The Secret Weapon to a Successful Whole30 You have undoubtedly heard of the diet fad sweeping the nation: Whole30. Whether you have colleagues who can’t stop talking about it, Instagram friends snapping pics, or Pinterest posts documenting the process, Whole30 seems to be THE diet of 2018. What Does a Chiropractor Do the Second She Starts Feeling Sick?